Bananas are easily one of the healthiest, nutrient-packed foods on the planet, and contain one of the highest amounts of potassium among all foods. If you eat two ripe bananas a day, you will get a tremendous dose of antioxidants and something called Tumor Necrosis Factor, which helps to fight against cancerous cells in the body. The more ripe the banana, the higher the cancer-fighting antioxidant levels and nutrient density. 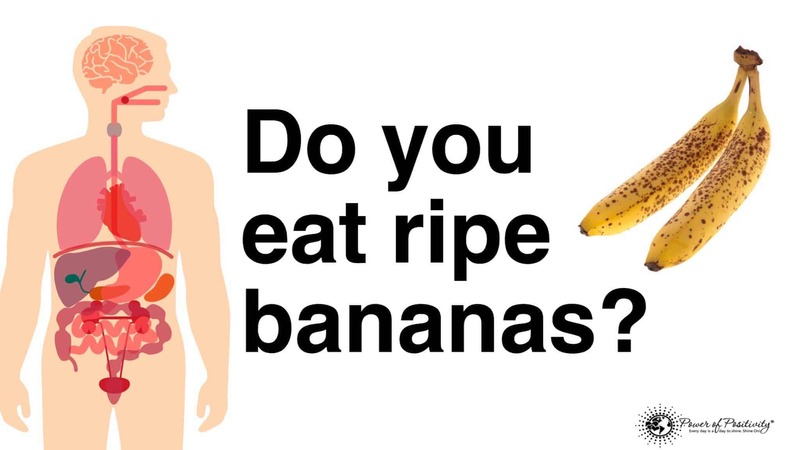 So, what other benefits can you get from eating a couple of bananas each day? Let’s look at some of them below. 1. Bananas fight depression. People with depression usually have low levels of serotonin in the brain. Containing a high level of tryptophan, which then converts into serotonin, bananas can help alleviate symptoms of depression. 2. You will have more energy. Bananas contain three natural sugars – fructose, glucose and sucrose, and are a good dose of fiber. This powerhouse of nutrition provides an instant and sustained boost of energy. Just two bananas provide enough energy for a 90-minute workout! 3. Banans will help with weight loss. At just 100 calories a serving, bananas are a good option for people trying to lose a few pounds. They also contain three grams of fiber, helping us feel more full and keep cravings at bay. 4. Bananas are great for your brain. Bananas release energy slowly, which helps the brain stay alert for a longer period of time. The high potassium levels keep us more alert and the magnesium helps the brain to focus. 5. They help to balance your hormones. Containing a high level of potassium and B6 vitamins, bananas are a good source of nutrients necessary for hormone production. 6. They alleviate heartburn. The high potassium level of bananas helps reduce the stomach’s acidity, while the fiber helps aid digestion; both of which are essential to alleviating heartburn. 7. Bananas lower blood pressure. Research has shown that eating two bananas a day can lower blood pressure by 10%. For those with blood pressure issues, bananas contain low sodium and high potassium, making them a great dietary choice. 8. They keep your blood healthy. Containing a good amount of iron, bananas are great in keeping the blood healthy and lowing the risk of anemia. Containing high levels of B-6, bananas also aid with the production of white blood cells. 9. Bananas are great for your bones. The nutrients in bananas helps build and sustain strong bones by increasing calcium absorption. 10. Bananas fight illness. Bananas contain a high level of antioxidants, providing cell protection against free radicals that cause illnesses such as heart disease, diabetes, cancer, and muscular and tissue degeneration. 11. They can aid in quitting smoking. While potentially a contentious claim, it needn’t be. Bananas contain a potent mix of potassium, magnesium and vitamin B6. Together, these nutrients are known to reduce nicotine withdrawal, which is crucial to kicking the habit. 12. Bananas treat stomach ulcers. While doctors in India have been proclaiming the benefits of bananas to treat peptic ulcers for generations, it wasn’t until recently that doctors in England discovered the same thing: bananas contain sitoindosides (sigh-toe-in-doe-sides), which prevents and heals ulcers. 13. They can cure hangovers. By containing high levels of electrolytes, bananas are good food choice for somebody that had one-too-many. They’re great for regulating electrolyte levels and getting the body back to a healthy state. 14. They alleviate constipation. Okay, so perhaps not the most pleasant thing to discuss, but we’re all adults here, right? That said, bananas are high in fiber, and fiber aids in the normalization of bowel movements. Not really a surprise, as we’ve already discussed bananas and their positive effect on digestion. 15. Bananas help prevent brain disorders. Rich in magnesium, bananas aid in the conversion of fatty acids into DHA, an important Omega-3. Scientists have discovered an important link between DHA deficiency and neurological disorders such as ADHD and Alzheimer’s disease. Containing a high level of B-vitamins, bananas also assist in preventing Parkinson’s disease. 16. Bananas enhance memory. Technically, this should have been filed under #4, but since so many people are worried about their memory it deserves its own number. Yes, bananas can help improve and sustain memory because of high levels of tryptophan, potassium and magnesium. 17. Bananas keep your heart healthy. Not really a surprise here, given the banana’s high levels of nutrients and vitamins. Increasing potassium intake and decreasing the intake of sodium is probably the most important thing someone can do to protect their heart, and the banana is a high-potassium, low-sodium food. The fiber, vitamin C and B6 ingredients in the banana also promotes health and reduces the risk of cardiovascular disease.